Shane Shirley : 3 Tips to Keep You Healthy and Happy While Using Reusable Bags and a $25 Gift from Factory Direct Promos!! 3 Tips to Keep You Healthy and Happy While Using Reusable Bags and a $25 Gift from Factory Direct Promos!! 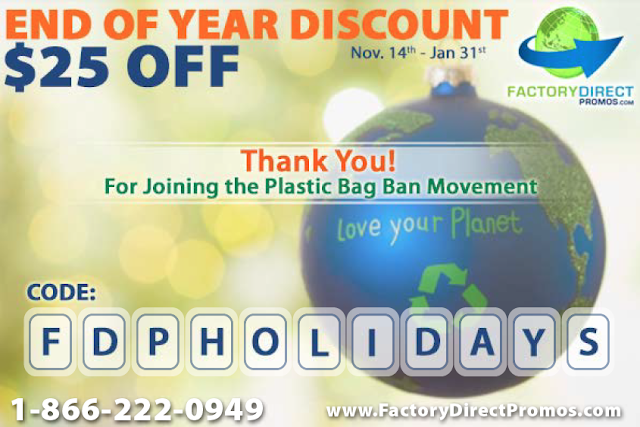 As you may or may not know, I am the Chief Marketing Officer for Factory Direct Promos (FDP), one of the largest manufacturers of eco-friendly promotional products including custom reusable bags, based here in Florida where I live. I love working with FDP because the Founder, Jason Tunick, is so passionate about ridding the world of single use plastic bags. This month, to raise awareness about Factory Direct Promos' brand new interactive worldwide plastic bag ban map, they are hosting a blog carnival and offering a $25 gift certificate good toward any purchase on their site. Get On Board and Join the Plastic Bag Ban Movement! Easy Peasy lemon Squeezey right?